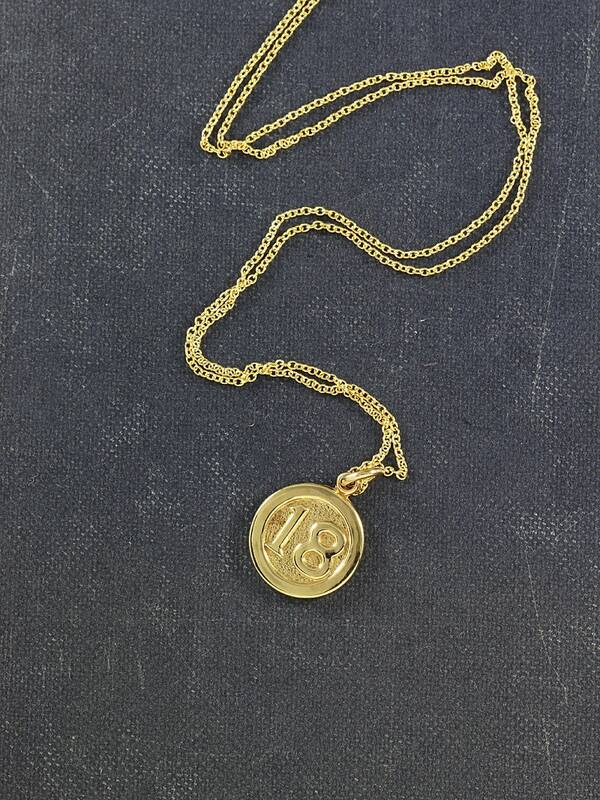 An 18th birthday commemorative charm is fashioned from solid 9 karat gold and is fully hallmarked from the UK. 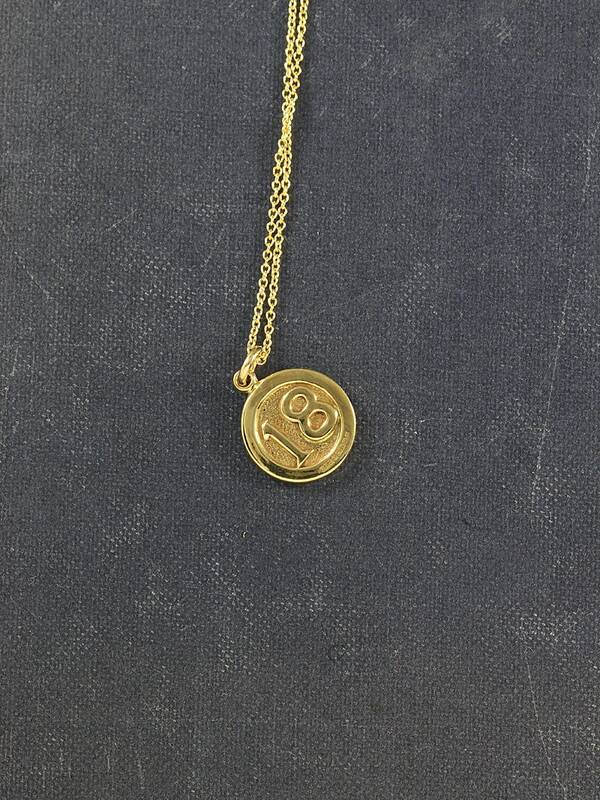 The small round pendant features the number 18 raised against a textured background with a raised shiny border. 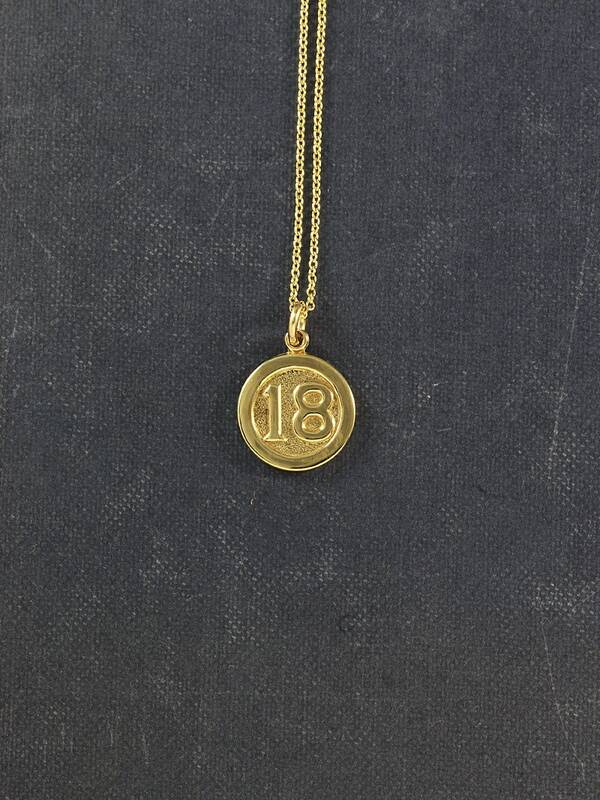 The number eighteen design is on both sides of this beautiful pendant. 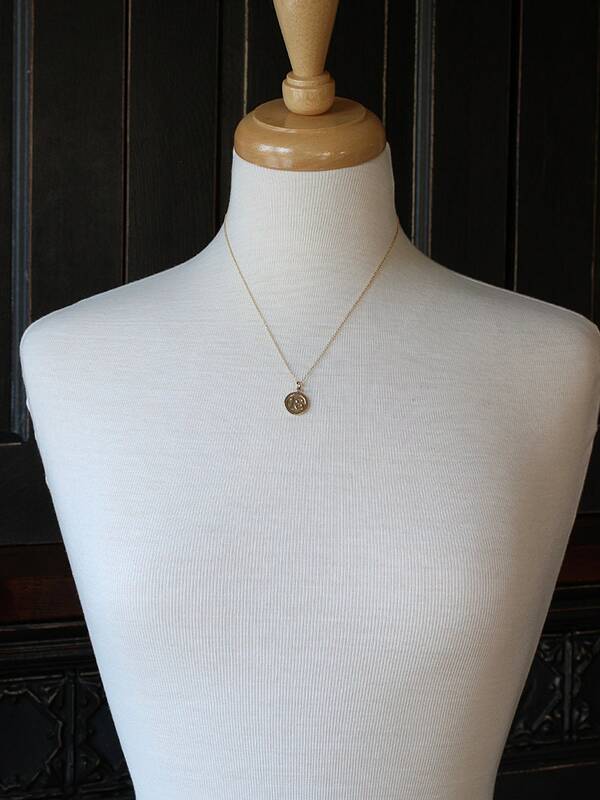 The charm dangles on a new 14k gold filled chain hand finished with a trigger lobster clasp and ring.